The plan to stop contaminated water from the quake-crippled Fukushima nuclear power plant leaking into the sea by freezing soil and water is not working as well as Japanese officials had hoped. 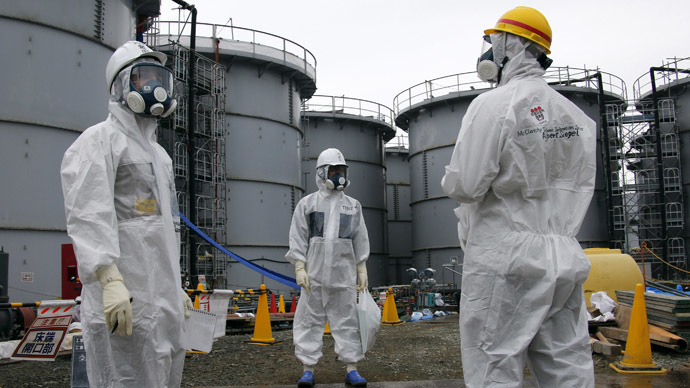 The problem is related not to the more-publicized “ice wall” set to be erected around the Fukushima plant, but rather the use of the same approach to freeze water in underground tunnels. Workers started pouring chemical solutions into the tunnels under the No 2 reactor in April, hoping that they would help freeze the contaminated water in them and stop it from leaking into the environment. But the plan is not working as intended, with tests showing that the water in the tunnels is still above freezing level, NHK reported Tuesday. 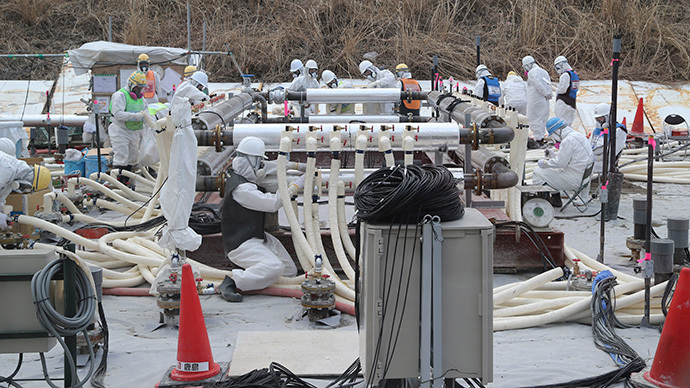 Plant operator Tepco believes that some objects must be blocking the flow of the coolant and have therefore considered adding more pipes to pour it in. The tunnels are full of an estimated 11,000 tons of contaminated water, which was used to cool down the reactors after they melted down in the wake of the March 2011 quake and tsunami. 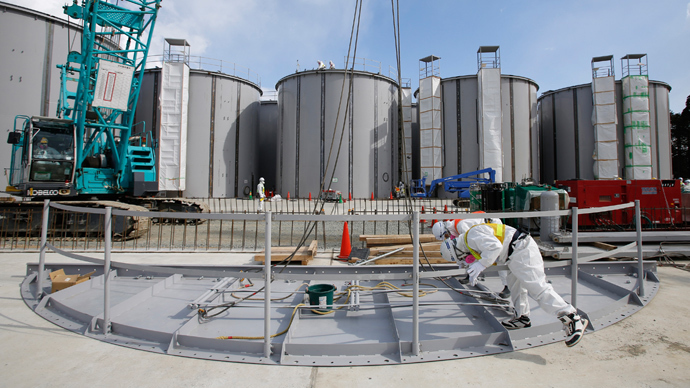 Tepco was hoping to complete the frozen barrier in the tunnels and pump out the radioactive wastewater into storage tanks by end of July, but may have to push back the deadline. In addition to freezing the tunnel water, the company wants to erect a 1.5-kilometer ice wall around the Fukushima plant to prevent groundwater from getting contaminated and flowing into the sea. Last week Tepco decided that the small-scale test of the ice wall plan was promising and gave a green light to implementing the $314 million project. 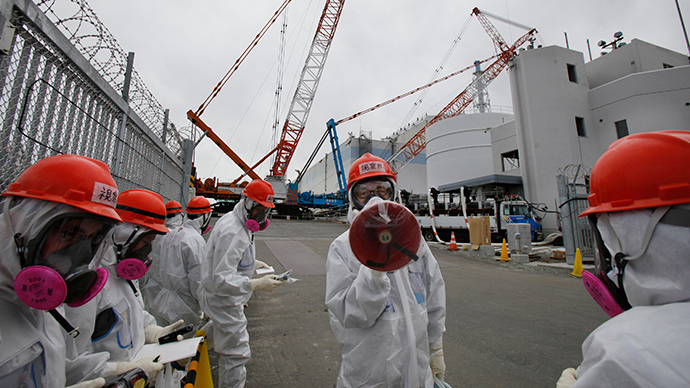 At the moment Tepco is trying to limit the release of radiation into the sea by pumping out the groundwater before it reaches the plant. On Sunday it poured 1,563 tons of uncontaminated water into the sea – the fourth and largest discharge since last month, when the pumping started. The water “bypass operation” once fully implemented is expected to reduce the daily buildup of 400 tons of highly radioactive water at the plant by up to 100 tons.